Doris Paul was 24 years old in April 1941 and by then had already experienced many nights of heavy bombardment at the hands of the Luftwaffe. However, the night raid of 16-17 April, 1941 was like nothing that had gone before. It became known to the people who lived through it as, simply, 'The Wednesday'. 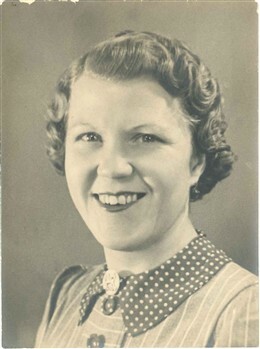 Doris lived in Aylesford Street, Pimlico, with her mother and sister, Gladys. Gladys worked as a clippy on the trams and on this Wednesday night arrived home after midnight, having finished her shift. She walked home all the way from the terminus in Camberwell Green. When she got in, Doris and her mother were still up. Doris recounts what happened next: "Gladys was so tired. Mum told us both to go up to bed. She slept in the kitchen under the big table. "We were all okay. We'd had a very lucky escape but there were many people in the area who weren't so lucky. We stayed in the kitchen with Mum for the rest of that night, then in the morning we started cleaning up the mess." Records showed that 148 people were killed that night in Pimlico and 564 injured. Several notable buildings were destroyed. The Monster Tavern, a pub on the site of what is now Sherborne House on the Abbots Manor estate, was completely obliterated. 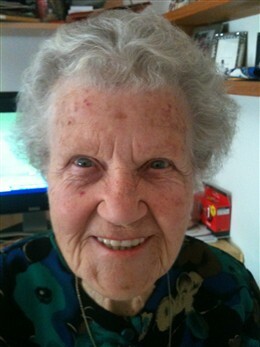 Ironically, Doris herself now lives in Sherborne House! The Monster was, for many years, the start of a line of horse-drawn buses known as the "Monster" buses but that night, thanks to 173 high explosive bombs, seven parachute mines and countless incendiaries, a part of Pimlico history was lost for ever. This page was added by Steve Rusbridge on 07/09/2010.